Are you one of those people who think that holding yourself back is next to impossible? Do see the surroundings going pitch black when the blood starts boiling in your veins? Do you often turn into a beast that nobody can tame because you have been wronged? Do you feel that you occasionally hurt yourself or your loved ones because you cannot control your anger? If your answer is a “Yes” to these questions then, you surely require reconsidering your ability to help yourself calm down. And, now that you have given it a thought and decided to control your outburst, read on to discover the ultimate guide that would help you to cope up in a moment of fury. Being angry is not always a negative feeling. In fact, it is one of the most natural and necessary feelings that you can think of when you have been ill-treated. However, if you try to control it for a very long time, the stored anger would eventually be brought out in the form of an outburst. This outburst would turn out to be quite violent in most of the cases; for an example, consider the fact that some people throw things around or break the dishes just to vent out their long-stored anger. This behavior is incorrect, and, therefore, it is necessary to let go of your anger occasionally so that you do not become a wild beast out of fury. In order to be able to calm yourself down, it is essential to recognize the signs that proclaim that you are about to burst into an uncontrollable rage. You might start breathing heavily, your cheek might flush or your fists might clench – if you can identify these symptoms, these reactions would let you realize that the time has arrived to calm yourself down. Therefore, be aware of the reactions that are triggered just before you are about to lose your temper so that you can control yourself from beforehand. The best way to deal with anger is to shoo it away as soon as possible. 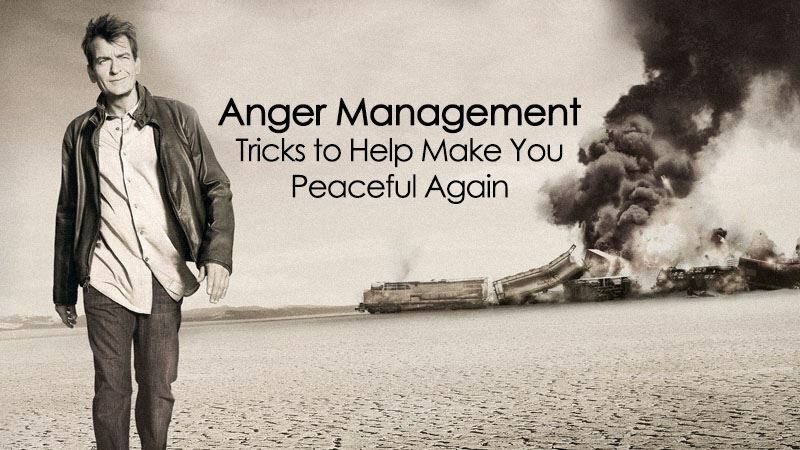 You can practice this easy method of anger control by indulging in the activities that give you immense happiness. You can go for a jog or a swim, you can hang out with your friends and enjoy a game of bowling, you can even catch up with your best friend for a drink – these entertainments are a dire necessity in life. If you can find the right piece of entertainment that would make you feel happy enough to fight the anger growing inside you then, you will surely be a step closer towards being a more healthy person altogether. Sometimes it so happens that no matter how hard you try, you are not able to hold your anger back. In those circumstances, even the people who are closest to you might fail to calm you down. That is the time when you should seek professional help. Seeking the help of a professional does not mean that you are incapable of handling your emotions. Rather, this is the pathway that would help you to rediscover your abilities and enable you to strive to be the cool and composed person that you always wanted to be. Thus, you can perceive by now that being angry is not always related to negativity if you can be calm enough to keep yourself composed at the time of fury. No matter how furious you become, you have to know how to channelize your rage.